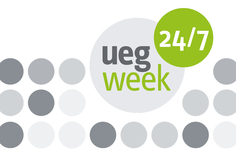 UEG Week has been running since 1992 and attracts up to 13,000 participants from across the world. The congress features the latest advances in clinical management, the best research in GI and liver disease and includes several different kinds of symposia and fora, where cutting edge gastroenterology and hepatology is discussed. 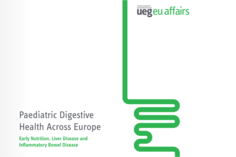 View previous press materials from UEG Week below. For further information about UEG Week, past or present, please contact Luke Paskins (full contact details below). 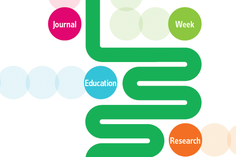 Does the gut microbiota hold the key to improved diagnosis and treatment of oesophageal cancer? Artificial intelligence: is this the future of early colorectal cancer detection? Is a CRC screening blood test within reach? 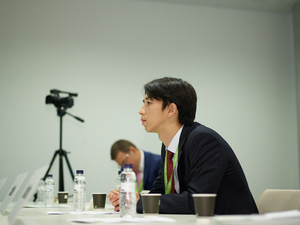 Access all press briefing videos from UEG Week 2014. Scientists identify promising blood biomarkers for colorectal cancer: is a screening blood test within reach? Our report highlights how the current health burden of digestive health issues have become a pandemic issue throughout the continent. Our mission is to improve standards of care in gastroenterology and promote understanding of GI and liver disease.